One day after announcing that it added nearly two million customers in the final months of 2017, T-Mobile has some more good news to share. Starting this Friday, T-Mo is kicking off a Buy One, Get One deal on smartphones from Samsung, LG, and Apple. You’ll need to purchase both phones on EIP to qualify and port in at least one new voice line to be used with one of the devices. You’ll also need to trade in an eligible device. The phones that are eligible for trade-in include the iPhone 5s, iPhone SE, iPhone 6, iPhone 6 Plus, iPhone 6s, iPhone 6s Plus, iPhone 7, iPhone 7 Plus, LG G5, LG G6, LG V20, Samsung Galaxy Note 4, Galaxy Note 5, Galaxy S6, Galaxy S6 edge, Galaxy S6 edge+, Galaxy S6 Active, Galaxy S7, Galaxy S7 edge, and Galaxy S7 Active. Once you meet all of those requirements, you’ll get a mail-in rebate to cover the cost of the lower priced device. You can buy an iPhone 7, iPhone 7 Plus, iPhone 8 (64GB), Galaxy S8, LG G6, LG V20, LG V30, or LG V30+ and get a second for free. If you’d prefer a more premium device, T-Mo is offering a Buy One, Get $700 Off deal on the iPhone 7 Plus (128GB and 256GB), iPhone 8 (256GB), iPhone 8 Plus, and iPhone X. Android fans can Buy One, Get $750 Off a Samsung Galaxy S8+, Galaxy S8 Active, or Galaxy Note 8. T-Mobile’s also running a deal for customers that only need one new phone. Starting Friday, you can trade in a device and get a $150 rebate plus the trade-in value when you buy a Galaxy S8, S8+, S8 Active, Note 8, LG G6, LG V30, or LG V30+ on EIP. You’ll need a voice line to use with your new device to qualify for this deal. You’ll also need to trade in an eligible device, which are the same phones that are eligible for trade-in with the BOGO deal. There’s no word yet on how long these deals will last, so if you’re interest in any of ’em, you may want to act soon. While some folks will likely be disappointed that the BOGO deal requires you to port in a new line, it is good to see Apple, Samsung, and LG BOGO deals again, especially since the iPhone X is now included. Are you going to take advantage of either of T-Mobile’s new offers? It would be awesome for T-Mobile to do a bogo for existing customers. I have 5 lines and can’t imagine ever adding another one. I guess I need to leave T-mobile and come back??? I’m in the same situation, I have T-Mo and I do like it but these deals for new customers aren’t really fair IMO. I’d upgrade to a better phone in a minute if I could have a BOGO deal. you could have had it before… sign up with a new line, get the bogo deal, then when the rebate comes, cancel the line after paying the phone off. have to jump through hoops.. but you could do it. Unless you in a non-qual plan. I couldn’t becasue I was on the 2lines/$70/6GB plan.. i was told I had to move the lines to ONE, and more than likely, i’d lose the 3rd line free deal I have… so even if I didn’t, i’d be paying more then $80 (includes the $70 plus taxes) I’m paying now. That’s what Google voice is for. Open a new line then port an existing one to GV and link to the new number. Then you will still have the same amount of lines and no new numbers. And when the next promo comes along that you want you add a new line, connect that one to GV, then cancel the old one. This is all void if you are taking advantage of a TMobile promo that cancels if you get rid of an older line. What would be the point of that if you’re paying for the lines of service? The whole point is that you have to pay for a line you don’t need if you want to get a deal. Do you know what Google Voice is? It allows you to attach that number to any other phone number. It stacks on top of the number the carrier gives you. That means you can change the carrier number whenever and not have to worry about giving your friends the new number every time. That means you can open a new TMO line to get your promos and cancel the old one at the same time without having to update your contact info. You just link to the new phone number. Your cost is the same as your anyone else, that bogus sim card fee. Yeah, everyone understands why it’s done. But it’s a lot harder to attract a new customer than it is to retain one. Throw out a bogo, make customers happy, keep your base. Someone could, for example, leave t-mobile and go to sprint to take advantage of their great offer of the day. They could then jump back to t-mobile and take advantage of their great offer and have t-mo pay their fees at sprint. Someone who doesn’t mind jumping through those hoops could work the system. I bet it is also, but for us that have been loyal with T-Mobile have to create churn and leave and come back makes minimal sense for an offer. Don’t they focus on churn. I would think so. Then again they wound rather that happen to get us off our lower priced plans. I have the 6 lines 120 per month and the 2 free lines. Plus still grandfathered with corp. Discount. So 8 lines less $120 . Hard to move anywhere with this price. It’s very stupid to have to trade in a phone. Their past BOGO offers have not required that. It’s already bad enough that you have to add a line to get these. it says “porting” a line. even worse. but says for existing customers so I bet adding a line would be ok. Does anyone know if the BOGO will include granfathered plan or its only for the unlimited (One) plan again like the last time? These BOGO deals make me sad to be a loyal customer for 12 years. None of these deals help existing customers. Hey T-mobile, we are grandfathered in the plan that we have because we bought into the plans you had at that time. Your BOGO plans make us look Stupid for being loyal or not good enough. that makes no sense what you are saying. there trying to grow there business that is why the there is incentives to join or add additional lines. if you have a great grandfathered plan. be happy. They can take care of new and current subscribers simultaneously. This add a line caveat is highly unnecessary for many current customers. Is there any way to take advantage of this if you are a current subscriber and would like to get pixel 2’s? As a long time customer (over 15 years) deals like this only make me want to leave t-mobile so I can come back and actually get a deal from t-mobile. Same. I really want to take advantage of the BOGO on Friday but I am a customer already. Is there going to be anything for current customers to take advantage of? It says all deals are good for existing customers, so i’d wager you’d need to add a line, rather than port one in to qualify. Then it have to be a ONE line. Per the link “These offers are available for all new and existing customers.” Right under the BOGO section. I’d still attempt, if I was doing it to try or even call. 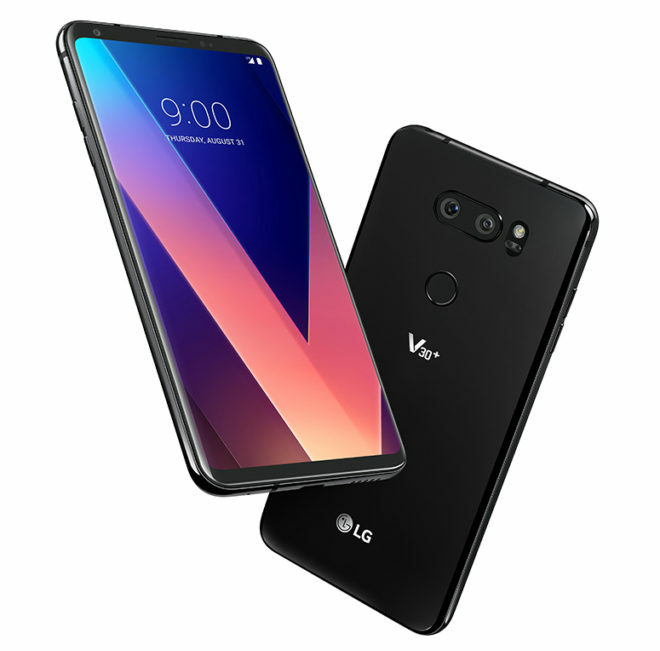 Already got my free tv and free LG v30, that black Friday deal LG had going on was spectacular. Kudos to LG and anyone who was smart enough to get this amazing steal (tv valued at 600$). My S7 is payed off in 2 more payments & I will use it for another 2 years without payments. s7 is a good phone. Another day, another rushed article by TmoNews. 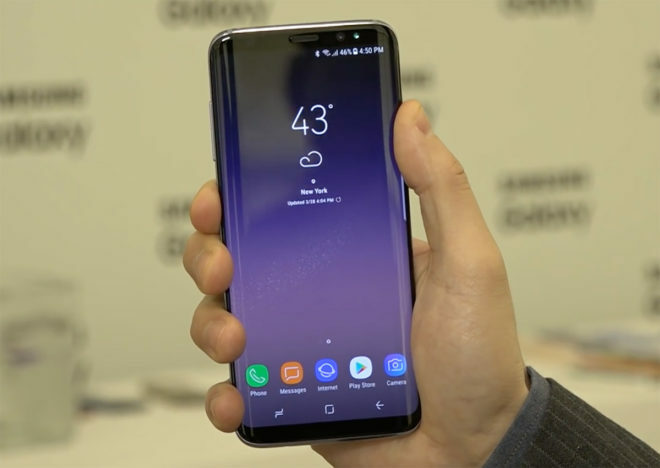 They fail to mention in this article that there are a few more phones that are eligible to be traded in for this offer, most notably the Galaxy S5 and Galaxy S4. That’s pretty amazing considering that those phones have a pretty low resale value these days. It’s unfortunate that the author of this article thinks that it’s okay to provide 80% of all the info, rather than 100%. People reading this article with those older phones would probably have no idea that they were eligible, and still might not unless they read this comment. Was it really that difficult for the writer to click *one* extra link, and type in *four* extra words with two commas? Guess so. Shame on you, Alex Wagner. the same “rushed” article was pushed yesterday to other android sites.. So don’t shoot the messenger as companies update later after an initial report. Why not just add the LG G4? I see this site is now including those obnoxious, “congratulations Amazon User” ads that completely crash your browser. Anyway, so I do the BOGO and we jump up from our grandfathered plan to take advantage of the LGV30 deal. With the Kickback feature I figure, no big deal. Turns out though that by upgrading, I lose out on Music Freedom. That will pretty much wipe out any chance of that Kickback occurring. Fast forward to last night… I go to check the status of my rebate and I noticed it was denied. That’s really strange I think given that the T-Mobile rep who signed us up was awesome. I called and the first rep looked at the account and found no reason why it should have been denied. They then transferred me to the rebate department and the rep found no reason for it to have been denied. Of course, T-Mobile doesn’t send you anything to alert you. She ended up fixing this but it got me wondering how many other customers they do this BS too. AdBlock Plus…. I don’t get any obnoxious ads. you should try it too. Also, when I did 2 LG tablets with rebates, I submitted two. Then when I went to check, One was denied. I called up and was told that the reason one was denied was they rolled both into one submission and denied the other. Sure enough, a week later I got my rebate with both amounts on one. I have availed the delas at least 8 times since it started for Galaxy S7. they advertise 6-8 weeks. There is no soul who receives it in that time. Rebates are denied to keep the added new lines active and it makes up fr the profit. tmobiles customer care is sinking and t mobile acknowledges it. Jus to clarify one more thing. By the time you get the phone ad the rebate is processed after 10+ hours of telephonic conversation. The same phone could be bought brand new sealed on amazon and ebay for half the tmobile price. Be careful. I did not receive SEALED phoned from Amazon, even though it was sold by Amazon. Returned one open box, to get another one ‘brand new’ in open box condition. Eventually ordered one from B&H and that came sealed. It’s annoying that you have to add a line to get the BOGO. I’m on the 55+ plan with 2 lines, you can’t add a third line to 55+, it’s limited to a maximum of 2 lines. As long as you are activating both phones on the network, iti should be open to every customer. I guess they only cares about adding new customers now. Beware when dealing with their fine print. They are still a company and want to make money.